Have you noticesor is all of the sudden in a different place that strange thing when you type cur...? It's super annoying when writing longer text. Or even if not (wtf Apple?). I found some solutions but they are from 2011 and suggest things like replacing the battery or playing with "PRAM". There has to be something better, right? Or, this looked good, uut it's no longer an option in Sys Preferences. 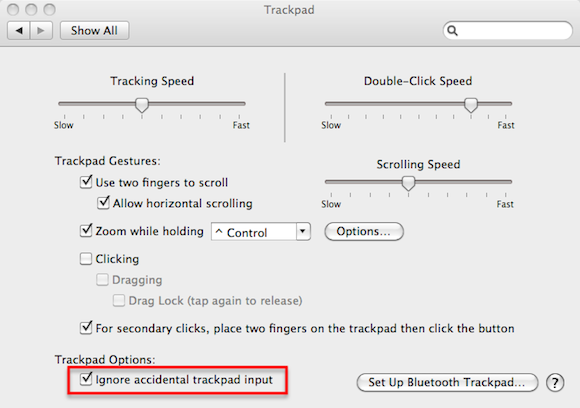 Even though Apple says ignore accidental trackpad input is enabled by default, this does not seem to be the case in Yosemite/El Capitan, as several users have pointed out on the Apple support forums.